Nita wins the lovely ceramic spoon donated by Ana Maria. 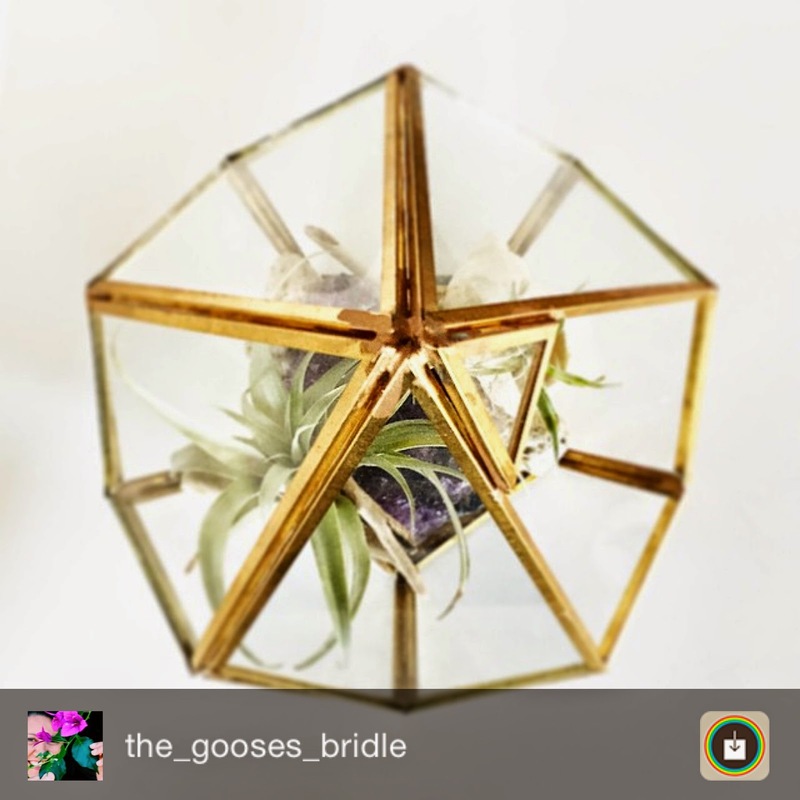 Well done Nita- thank you for entering and your interesting capture of the theme. 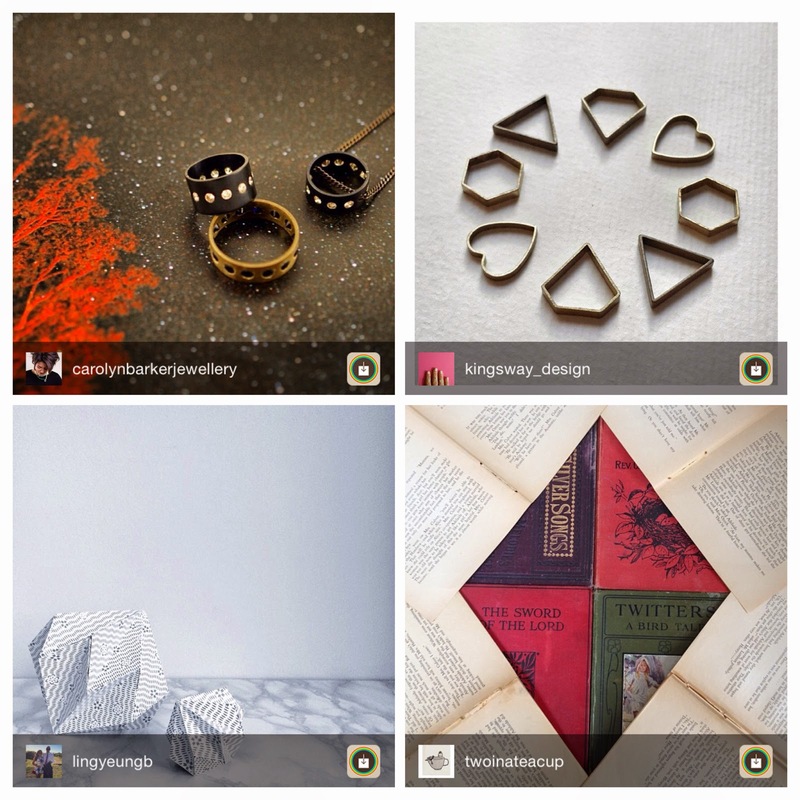 Visit their IG accounts for more inspiration! 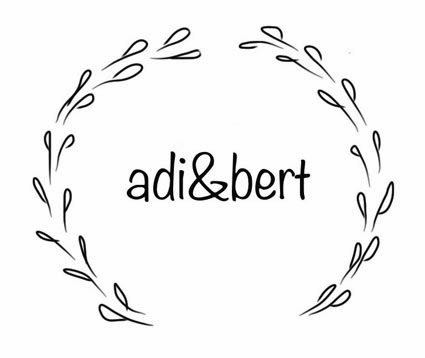 Ana, based in the western district of Victoria, Australia, is offering one of her beautiful ceramic spoons as a prize for the March Instagram @adiandbert competition. Ana sells her wares at the Ballarat 'The Design Exchange' market, at regional and private art galleries and at several shops around Victoria. So if you live nearby, look out for her work and stall. 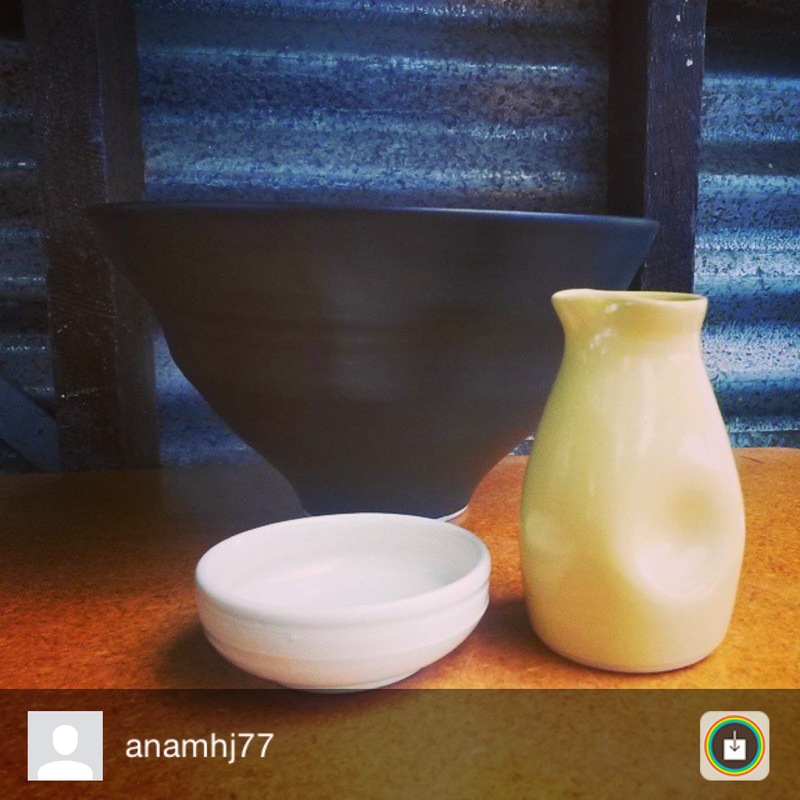 Ana says about her products, "I make a range of domestic wares, in different colours, for everyday use. I do also make sculpture pieces and a small collection of spoons!. I love working with clay, is a great material!" Recently Ana introduced a new black glaze to her range, which adds a sophisticated look to her pots as you can see demonstrated by this beautiful salad bowl. 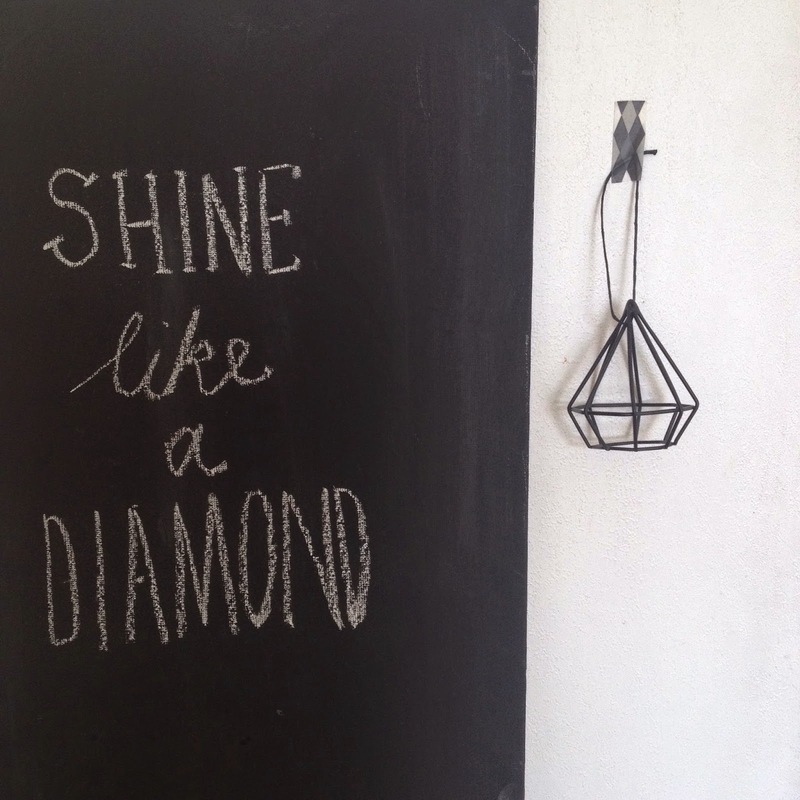 This month's challenge for the competition is DIAMONDS! The idea was suggested by the delightful Carolyn Barker a jeweller who I featured in last month's #the_heart_series competition and who provided the gorgeous silver gingko brooch prize. 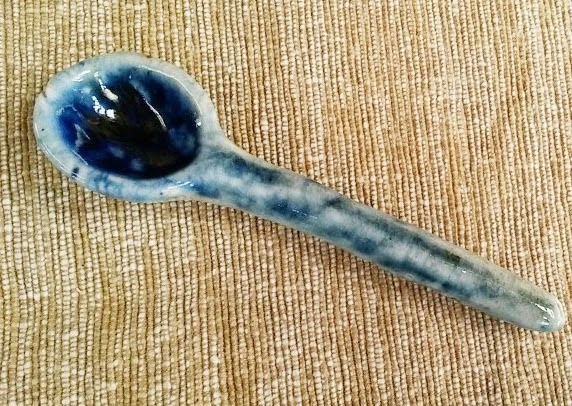 Hope you will join in the fun and enter to win the beautiful ceramic spoon like the one featured above. Competition closes midnight, Saturday,28 March 2015, and the winner will be judged by the talented Ana. We are excitedly awaiting your creative interpretations! 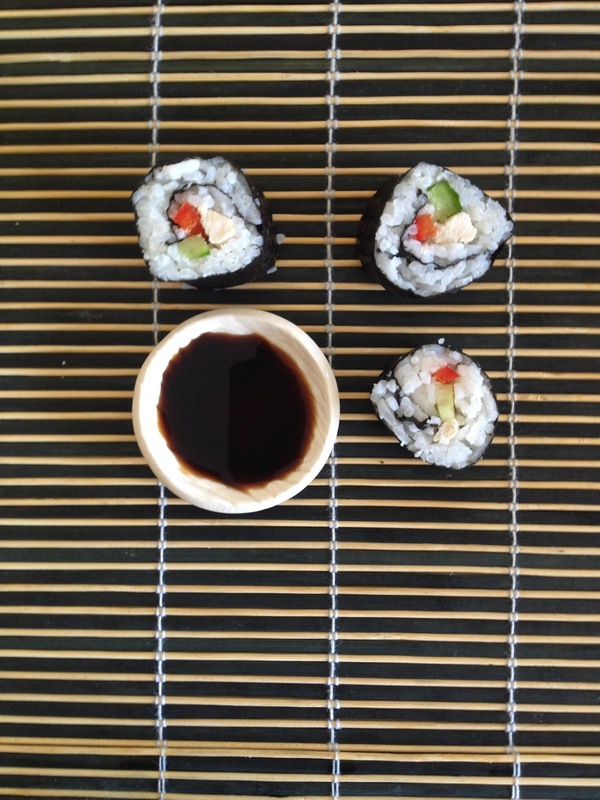 My teenage daughter loves sushi and so we decided to try making it ourselves. She is 13 and was able to do most of it with a little help preparing ingredients, like cooking the rice. This recipe makes approximately 24 slices. Slice the cooked chicken breast into strips. Slice capsicum and cucumber into 5cm strips. Cook rice. Once cooked, stir through sushi vinegar & let it cool down for 20 minutes. Lay cling film on top of sushi rolling mat. 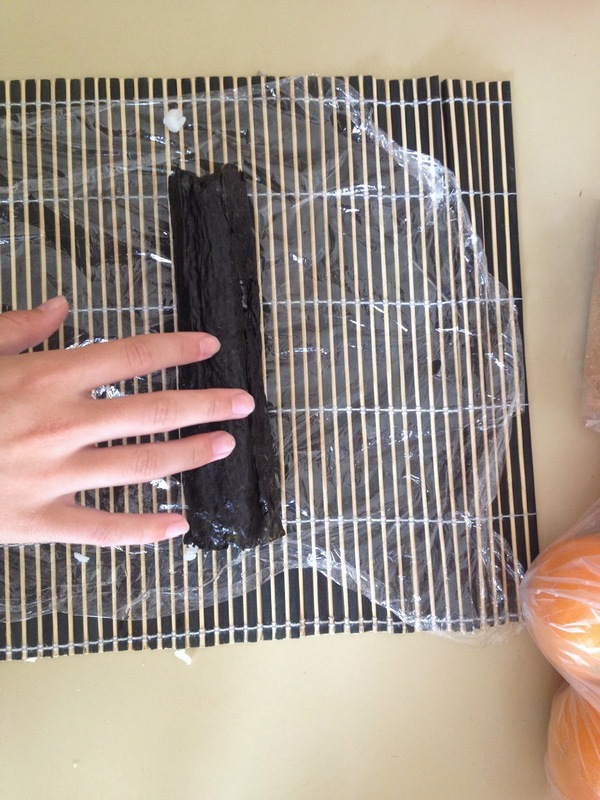 Place nori sheet on the cling film and wipe with moistened paper towel. Scoop handfuls of rice and firmly spread over nori mat. 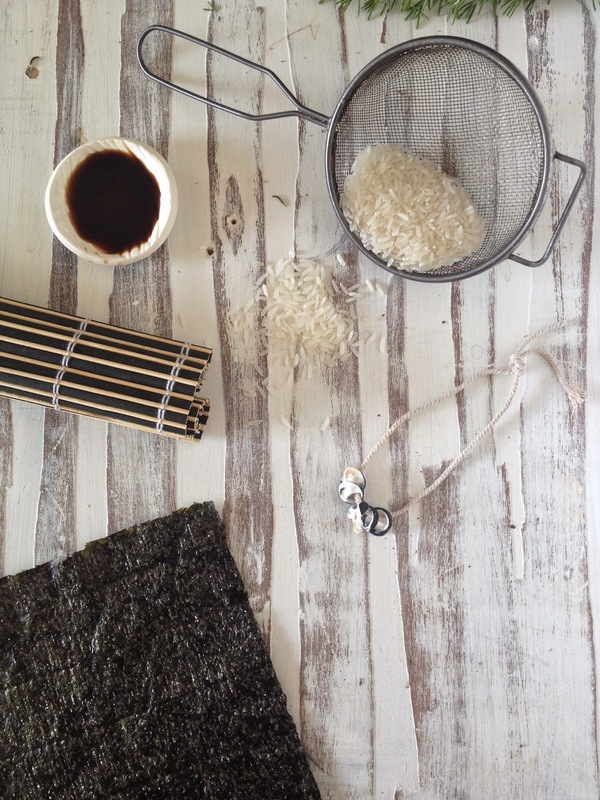 Keep a clean bowl of water handy so you can clean your hands between scooping rice onto the mat. 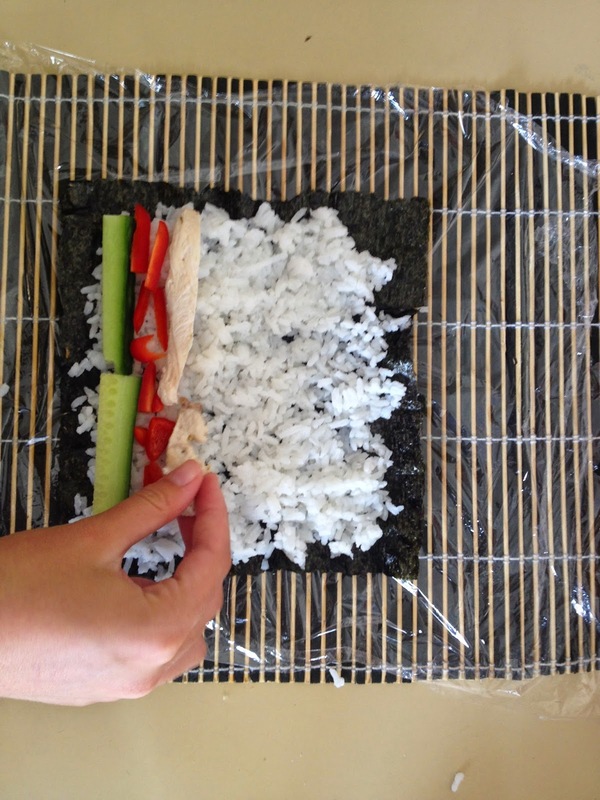 Leave a 2cm border at the top of the nori without rice for sealing. Place sliced vegetables and chicken at the bottom edge of the rice-covered nori sheet. Roll the sushi mat into a tight, firm roll. Remove the sushi roll and set aside and cover with a damp tea towel. Fill remaining nori sheets and repeat the above steps. With a sharp knife carefully slice the longer rolls into slices and store in the refrigerator until ready for serving. Serve with soya sauce for dipping, sliced fresh ginger and wasabi paste to taste. Not bad for a 13 year old! View the recipe as a Steller story features in the Food and Drink collection recently.